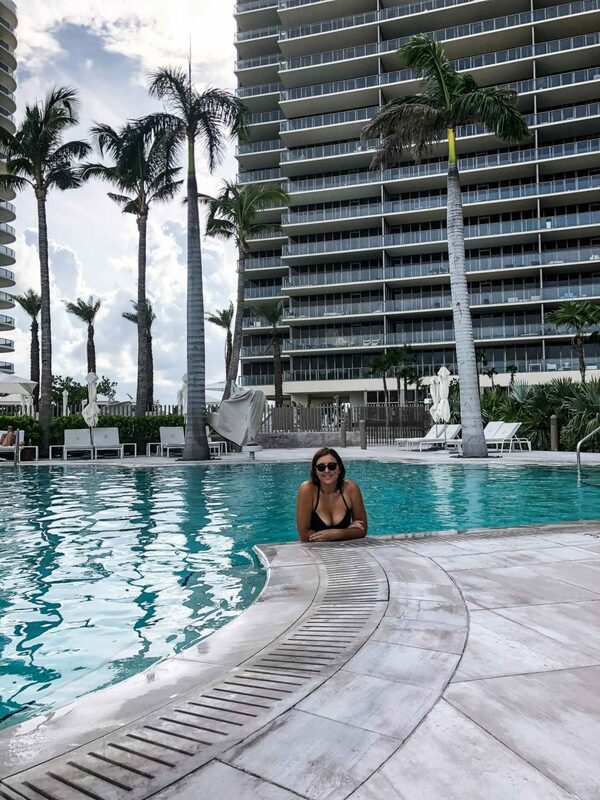 So yesterday I enjoyed a Daycation. 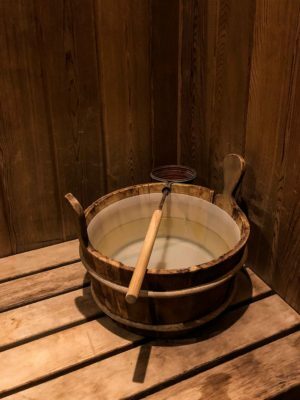 And if you have never heard this word before, that's ok, but you will learn it quickly! A Daycation is basically a vacation for just one day. 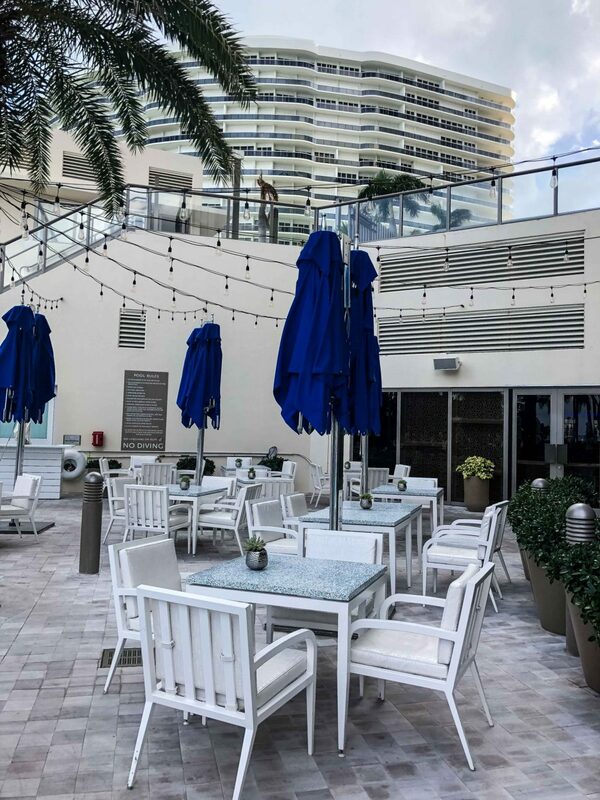 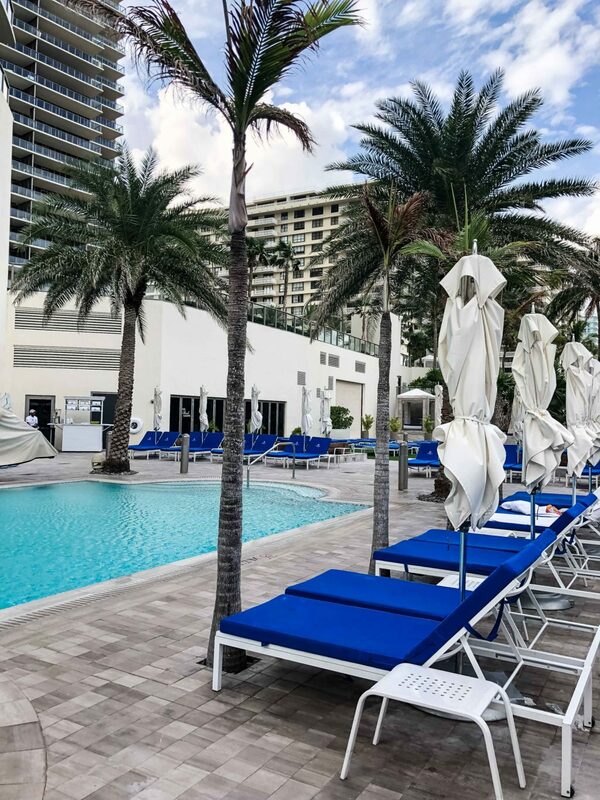 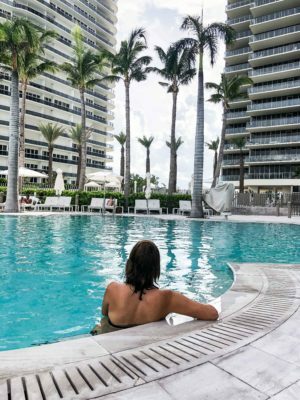 DaycationApp.com is a new company in Miami where you can spend a day in a 5 star hotel to use their spa & pool facilities without having to book a room. 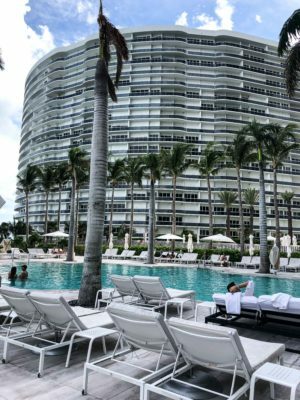 Amazing right?! You have 8 amazing hotels in Miami to choose from including the famous Fontainebleau, Loews and The Confidente. You simply go onto the website, look at each of the hotels and decide which one you want to try out. The prices vary depending on which hotel you choose and also which package you want. 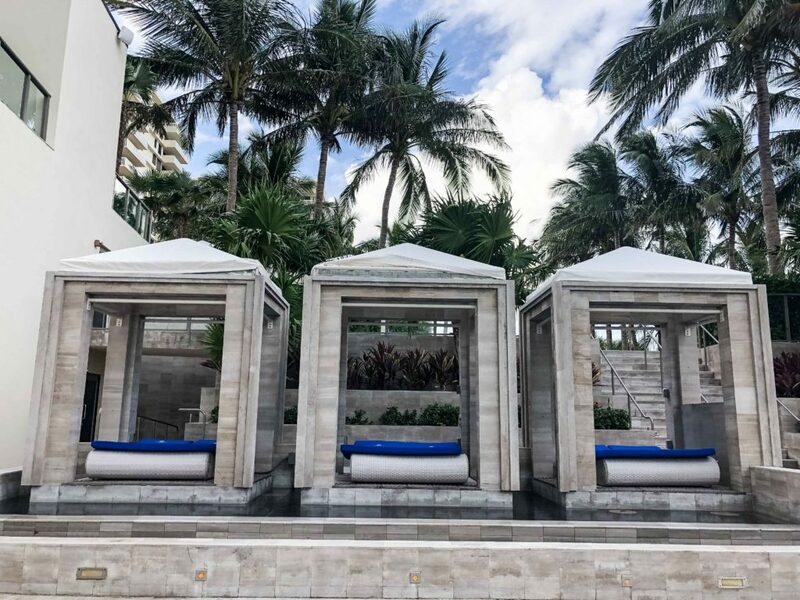 Some of the daycations simply include a chair, towel and access to the pools and spas whereas others include a cabana for 6 people, TV, fresh fruit, butler service, WiFi & drinks! My husband and I chose the St Regis hotel for several reasons. 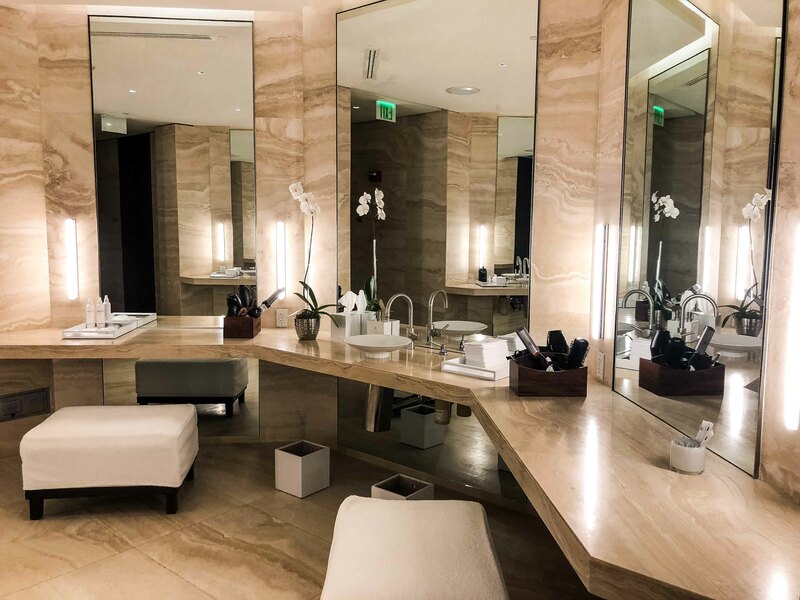 It is a 5 star luxury hotel, which is a treat for us who rarely experience 5 star luxury anything! This daycation included access to 2 swimming pools with chairs & towels, beach access & towels, spa access (with a sauna, steam room & jacuzzi), on call service for food and drinks at the beach and pool and 15% off any spa treatments. And it just looks like a lovely place to relax & unwind. 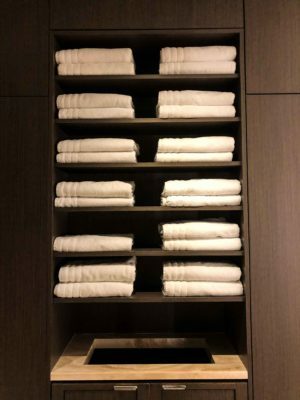 When we arrived at the hotel, we went straight to the spa entrance and told them our names to check in. The Daycation website said to show the receptionist the confirmation email and a valid ID but we didn't need either as the service was amazing. 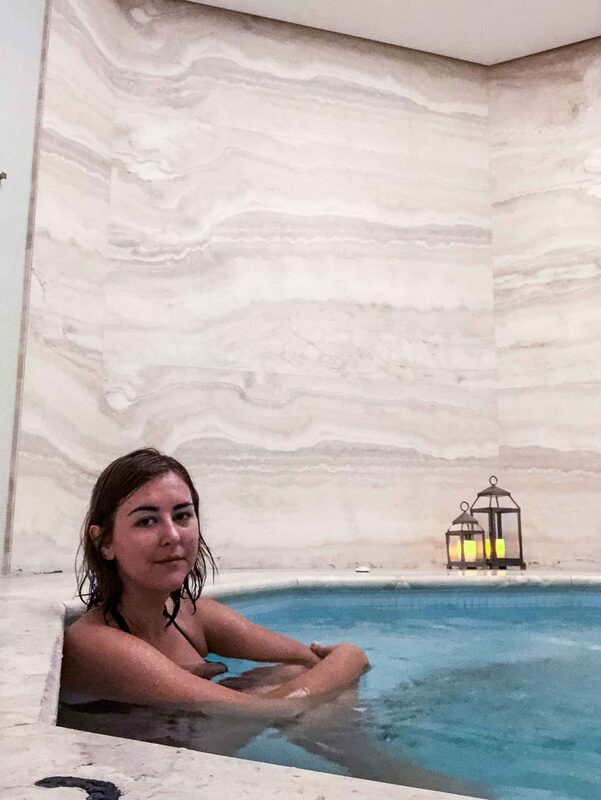 We were shown around the hotel's facilities which includes an adult only swimming pool, an adult only jacuzzi and a family swimming pool. 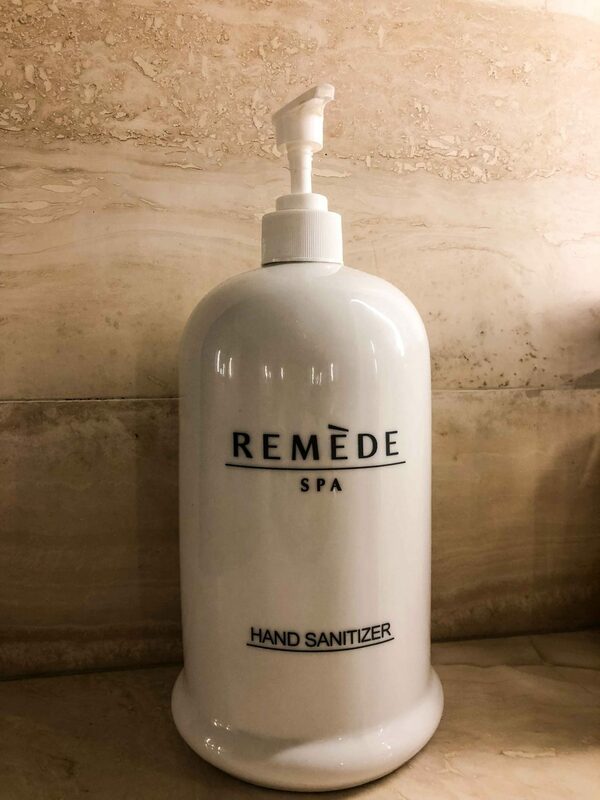 To be honest, I don't know why all hotels don't have this option as it was amazing not to have kids jumping around & screaming while we were relaxing. 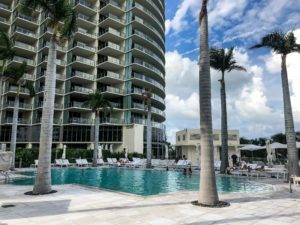 The adult pool was on the upper level with views over the palm trees, beach and beautiful blue ocean. Our server then set us up on the chairs we had chosen with towels and cold waters to enjoy in the Miami heat. After several hours relaxing by the pool and in the jacuzzi (and once the big grey clouds started rolling in) we went inside to enjoy the spa. 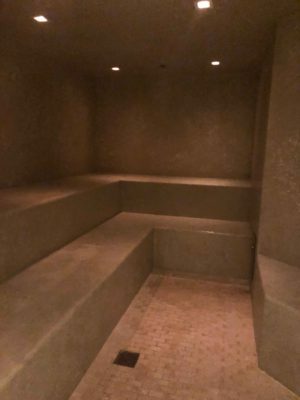 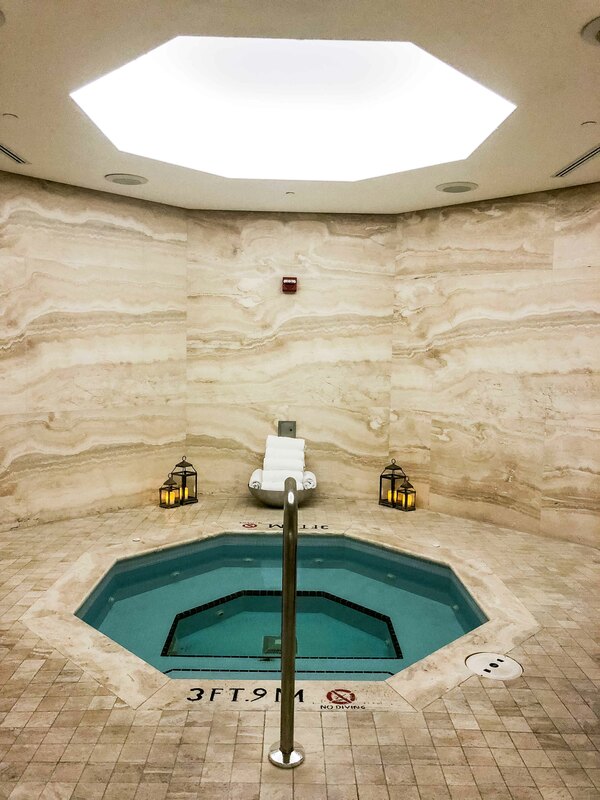 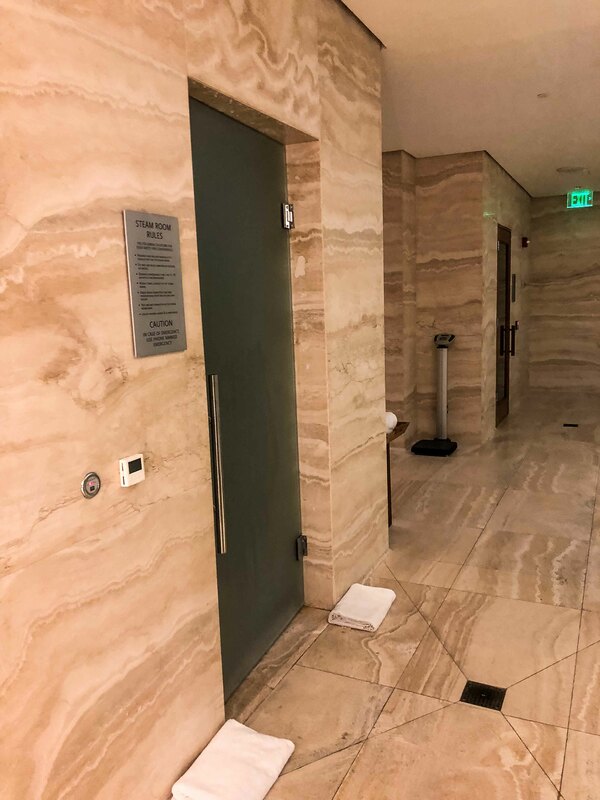 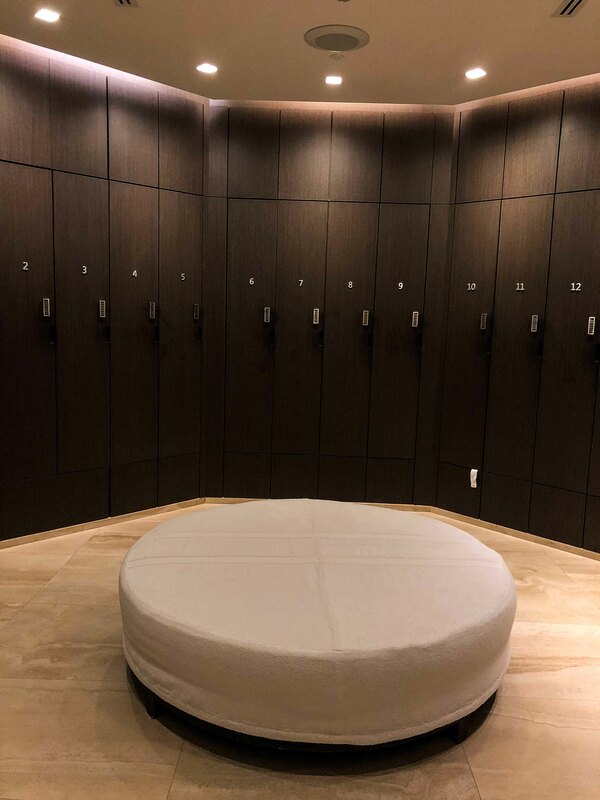 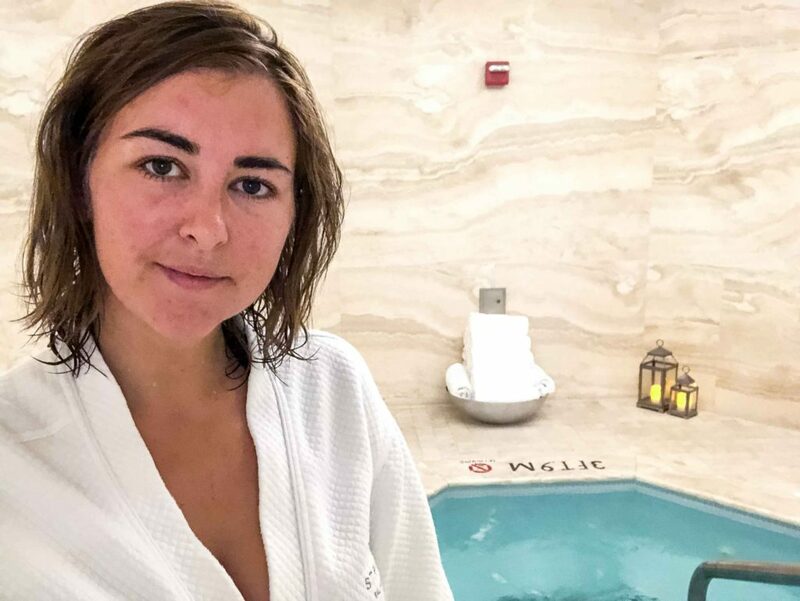 The spa is separated by gender which I guess is a good thing, but it also meant that I was alone in the spa with no one to talk to or enjoy it with. It could have been nice to have a mixed spa too for people who do want to be with people of the opposite gender. 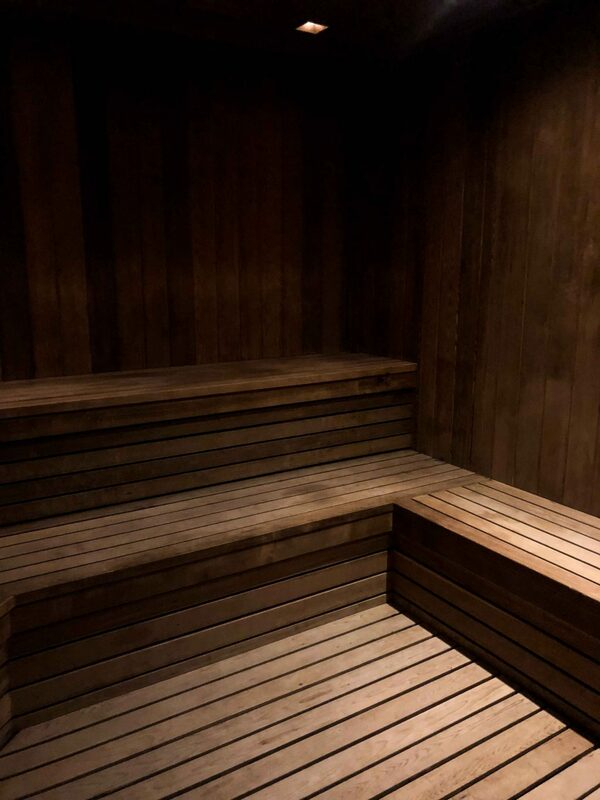 Although, saying that, it was lovely to have some real "me time". 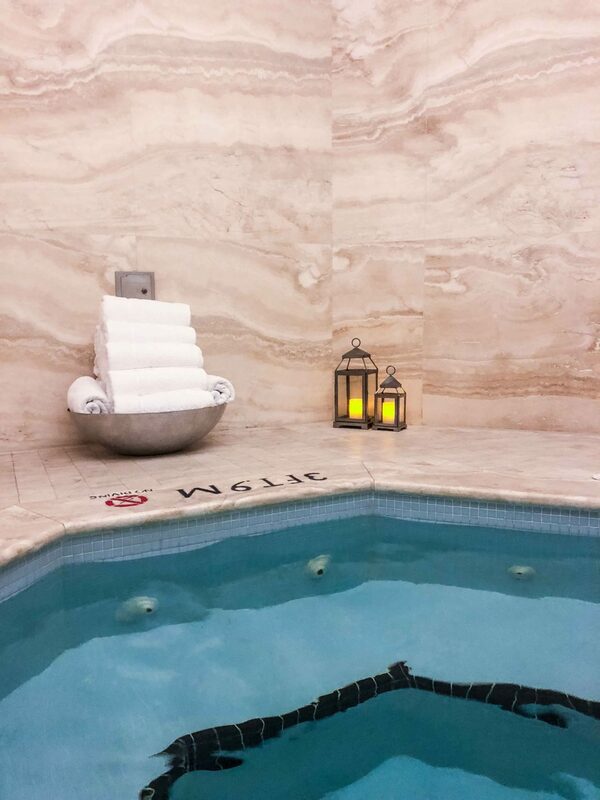 I was in the spa by around 5pm and when I say there was no one else in there except for me, I'm not exaggerating! 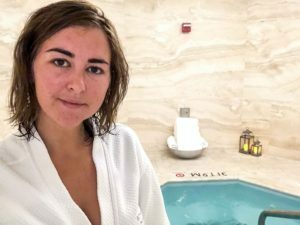 There were 2 women who were leaving as I arrived and 1 lady arrived as I was leaving, so I literally had the whole spa to myself! 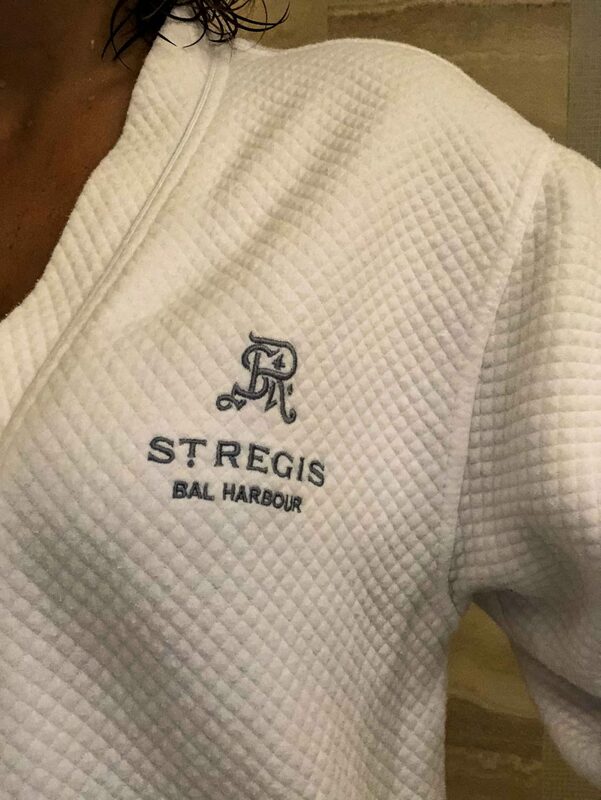 It was so lovely to enjoy the steam room, sauna and jacuzzi all to myself. 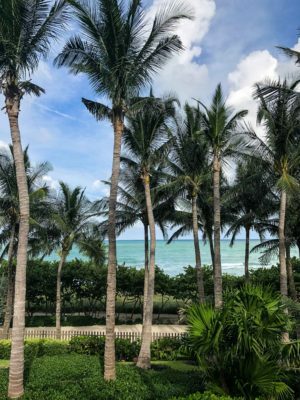 To have time to think about work, life and anything else I have going on in my life. I then showered, got dressed in the private changing room and did my hair using the hair products available. 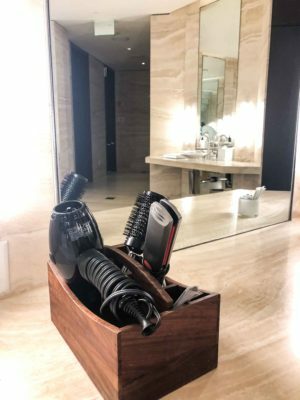 They had hair dryers, curlers, straighteners, combs & brushes as well as other hygiene products like tooth brushes & toothpaste, hair spray, deodorant, razors, lotions, nail polish removers and other such things. 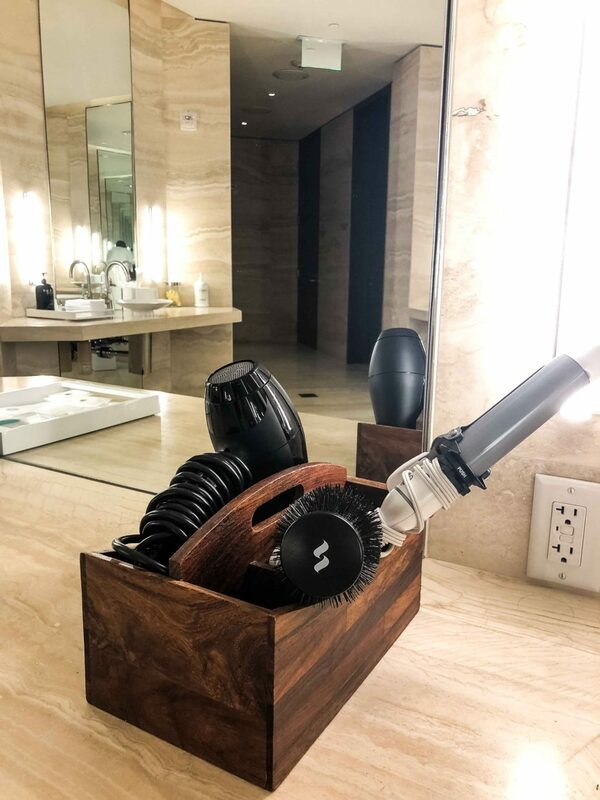 It was really nice to have all of these things available to use and in such a beautiful bathroom that is absolute #housegoals. 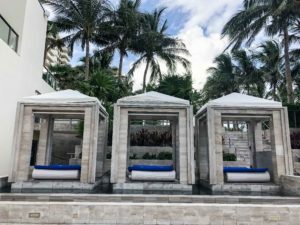 I loved my Daycation and would recommend it to everyone. 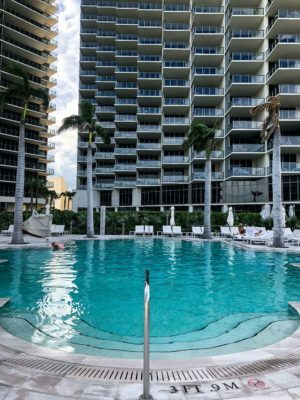 I love that there are different hotels to choose from with different prices ranging from $30 - $1250! 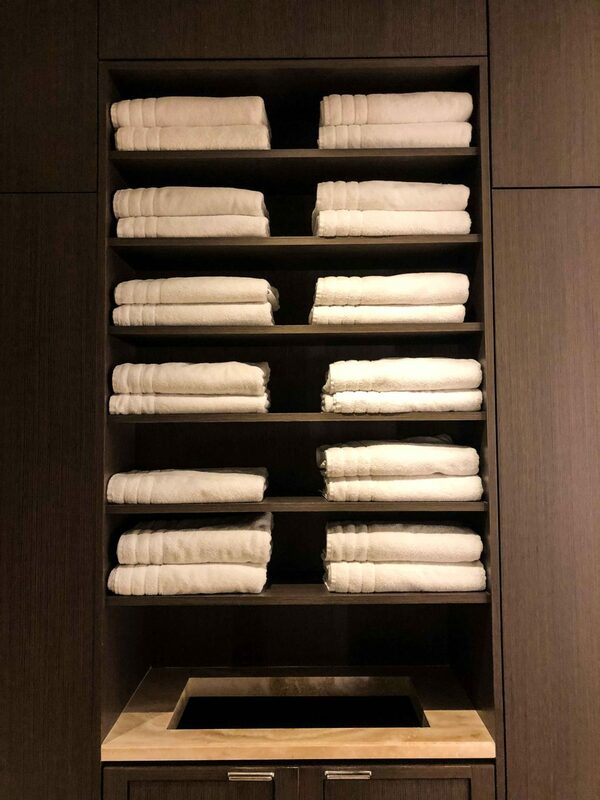 This means that anyone and everyone can find something that suits their budget & desires. This would be a great gift for partners, friends, newlyweds, parents and even for yourself! 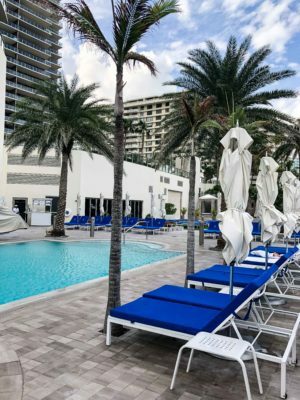 If you do want to buy someone a daycation gift card, go directly to www.daycationapp.com/gift. 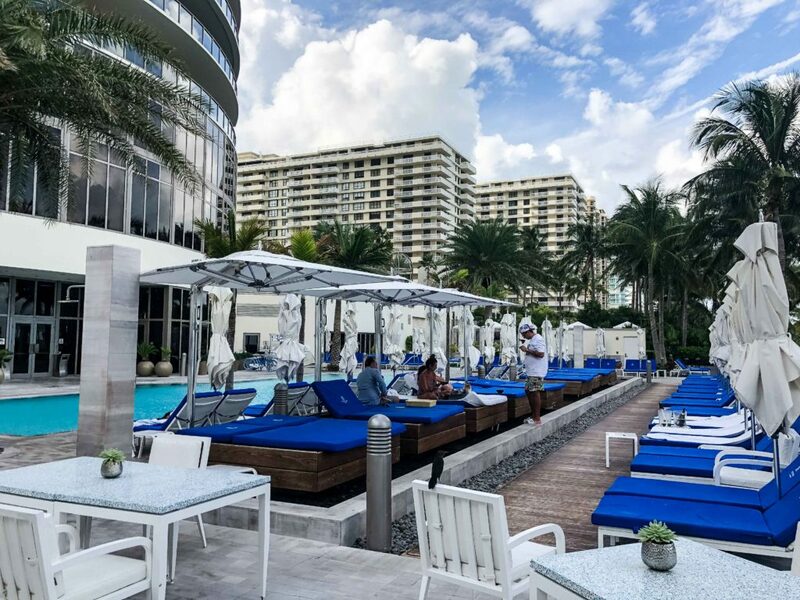 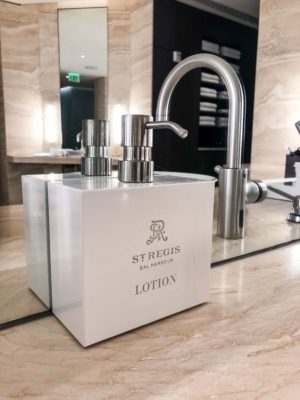 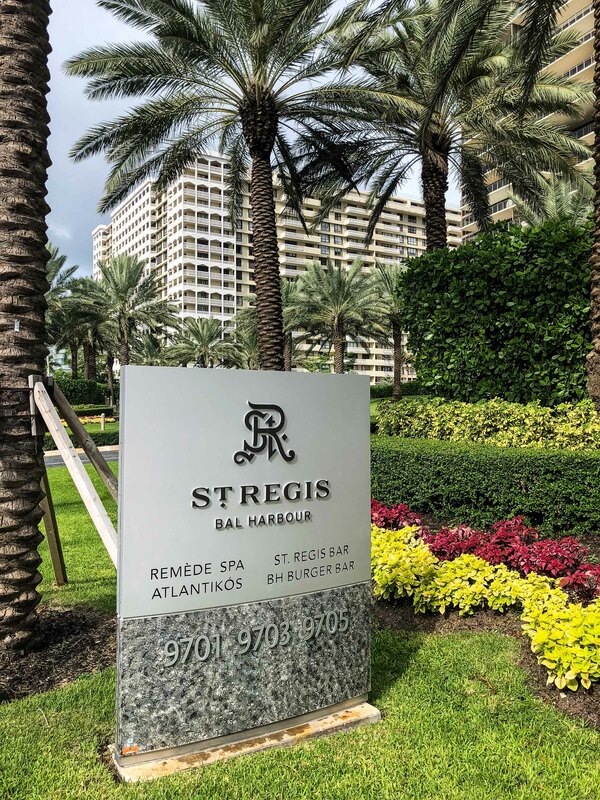 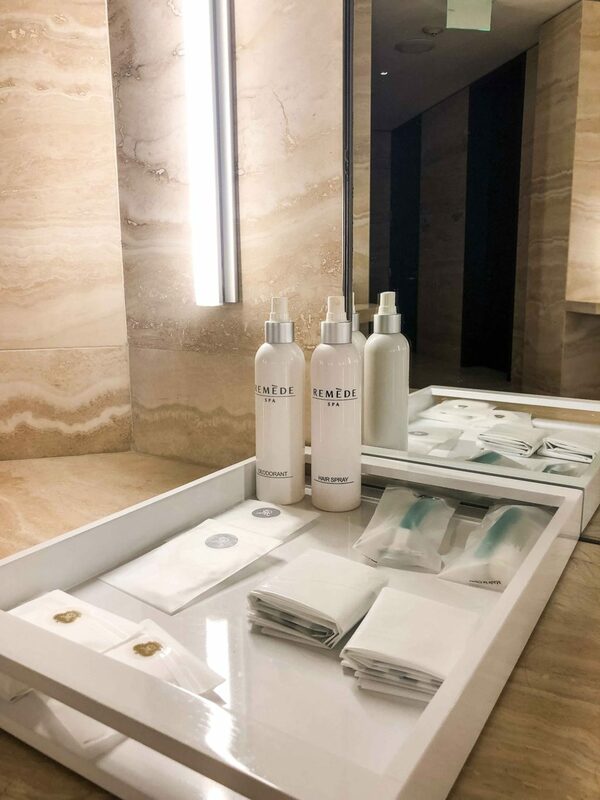 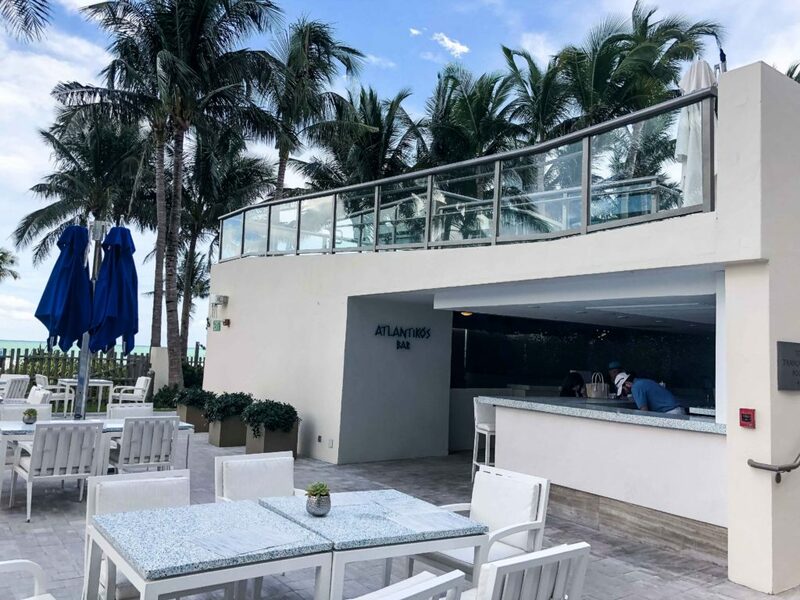 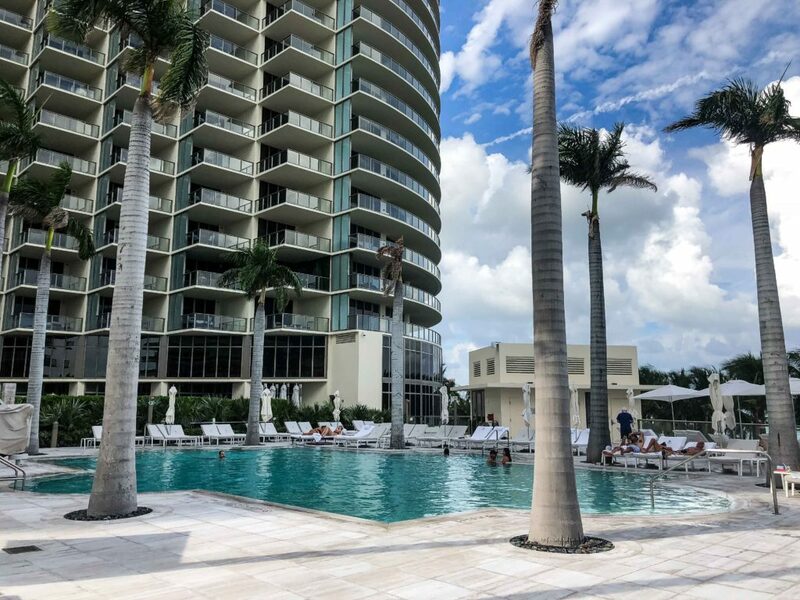 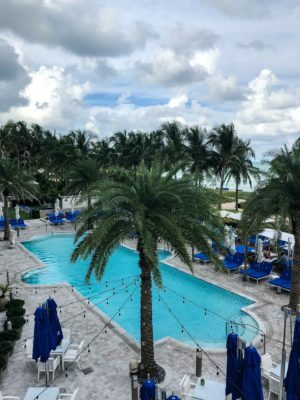 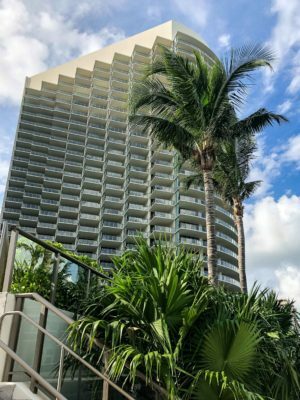 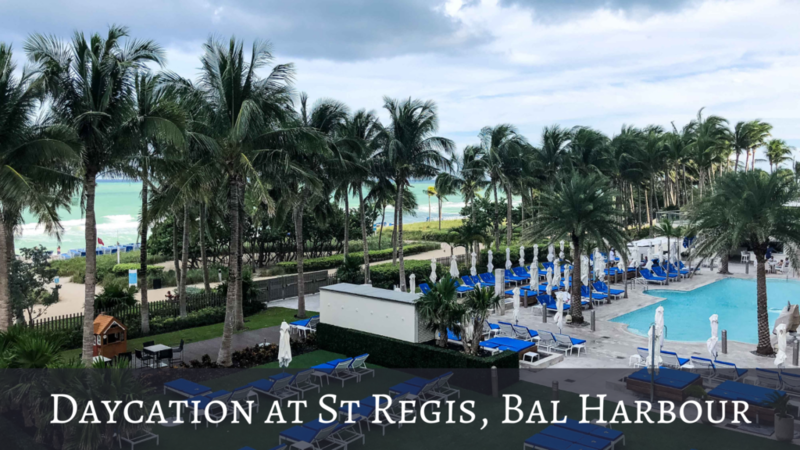 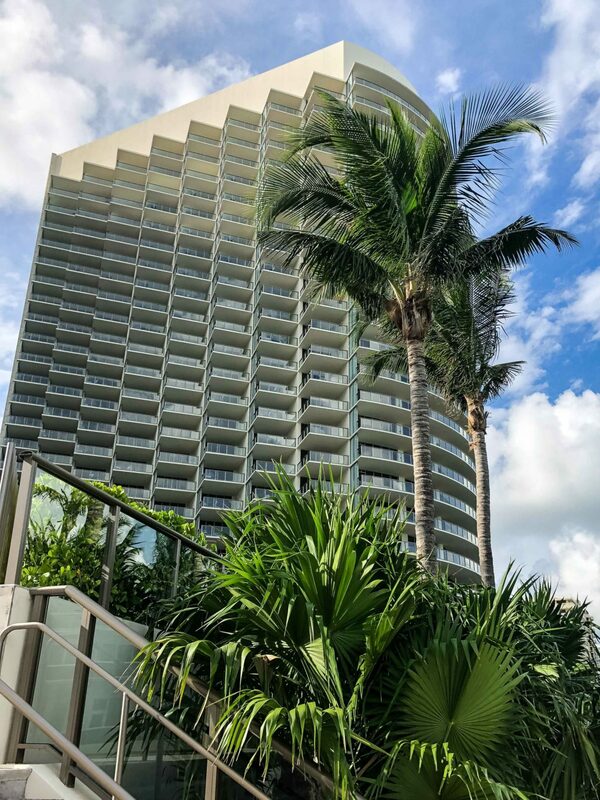 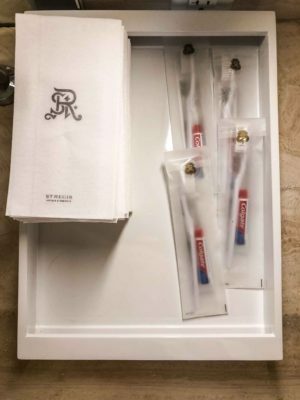 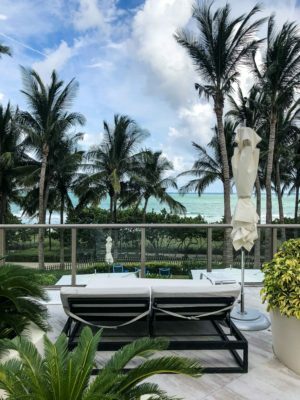 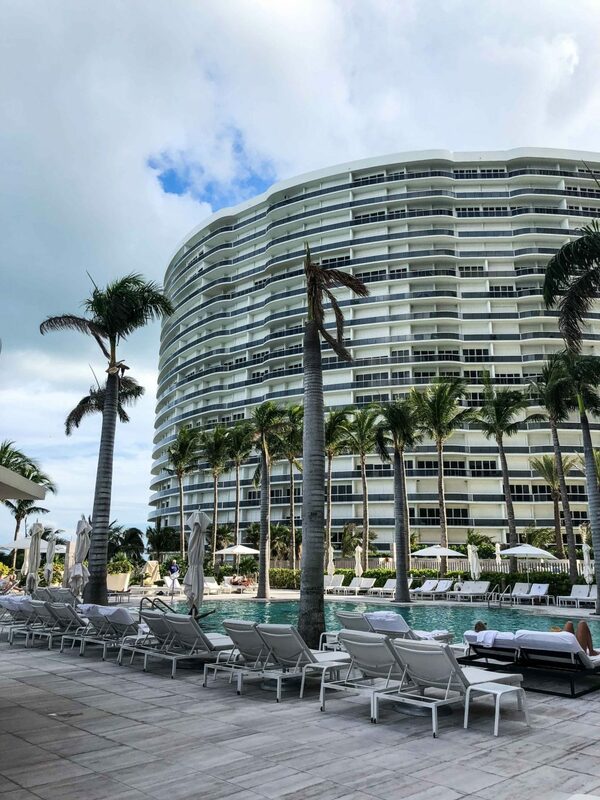 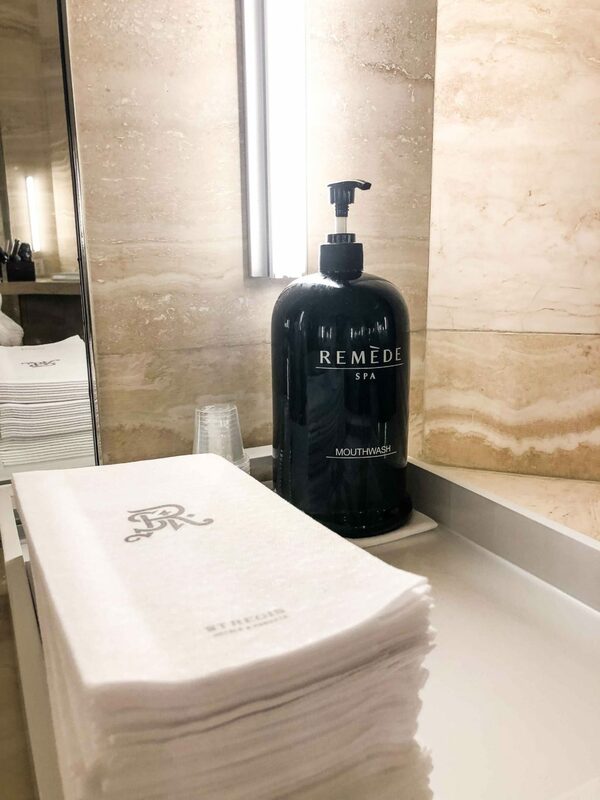 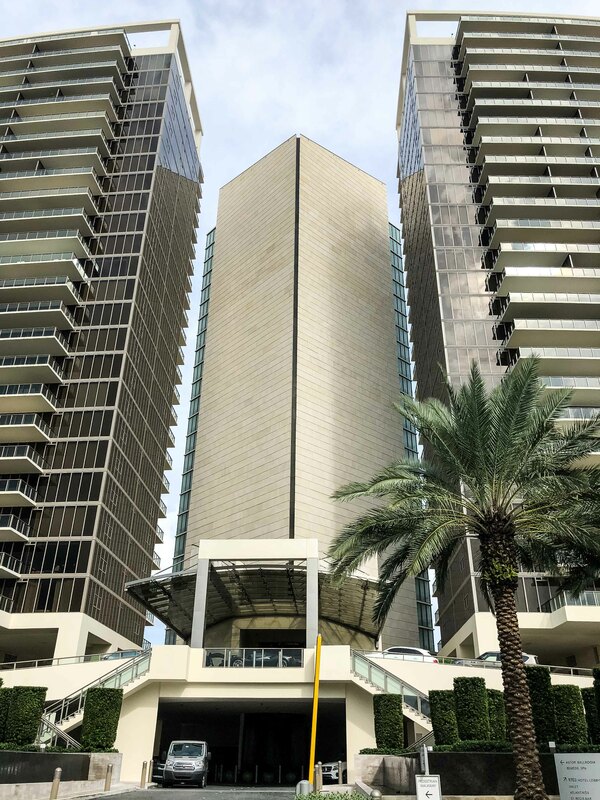 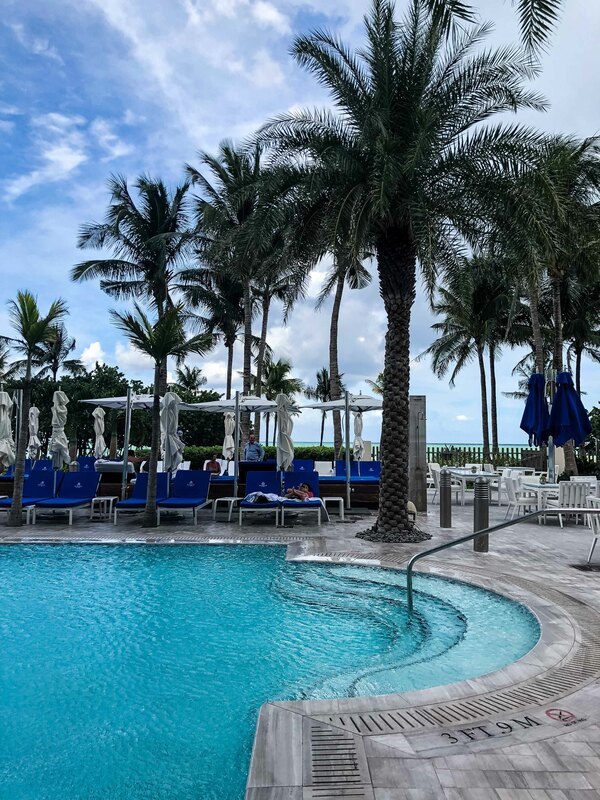 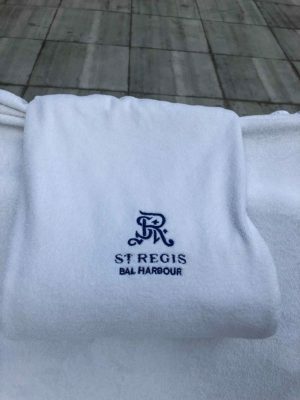 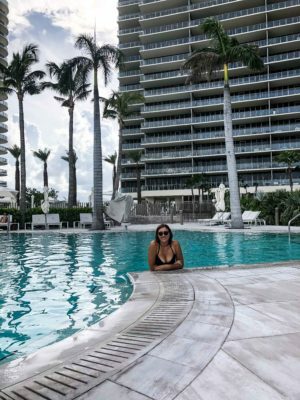 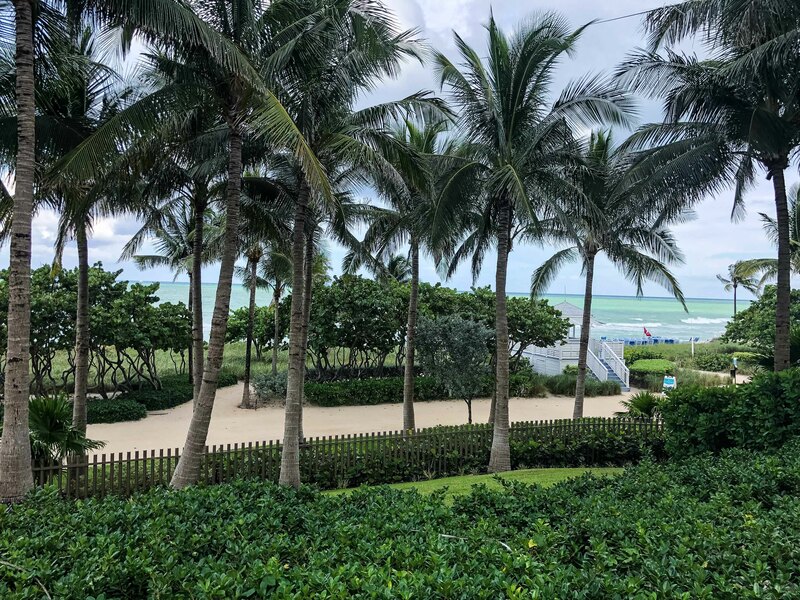 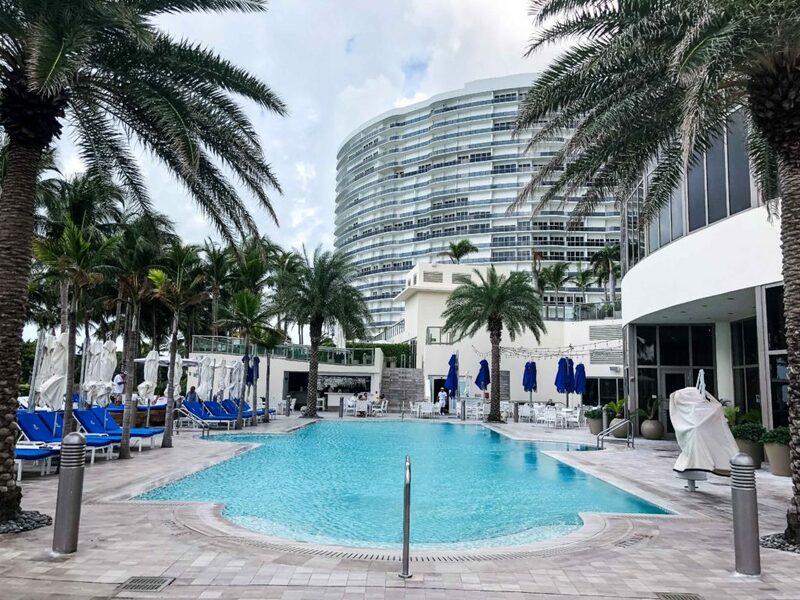 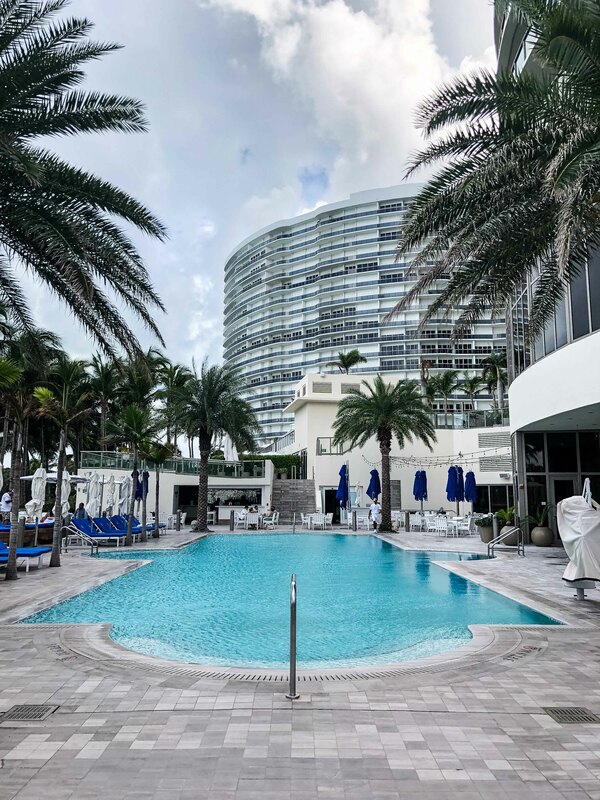 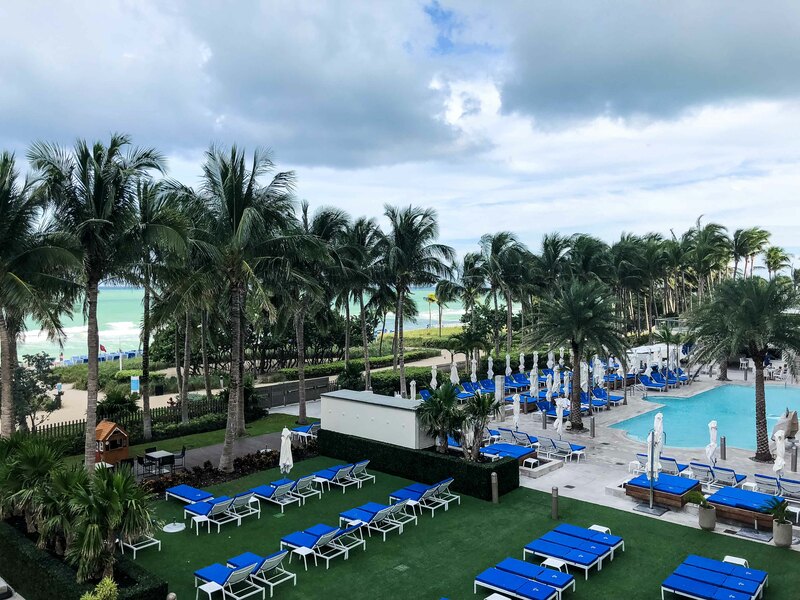 I had a really lovely day at the St Regis hotel in Bal Harbour and want to say a special thank you to Daycation for gifting me this experience. 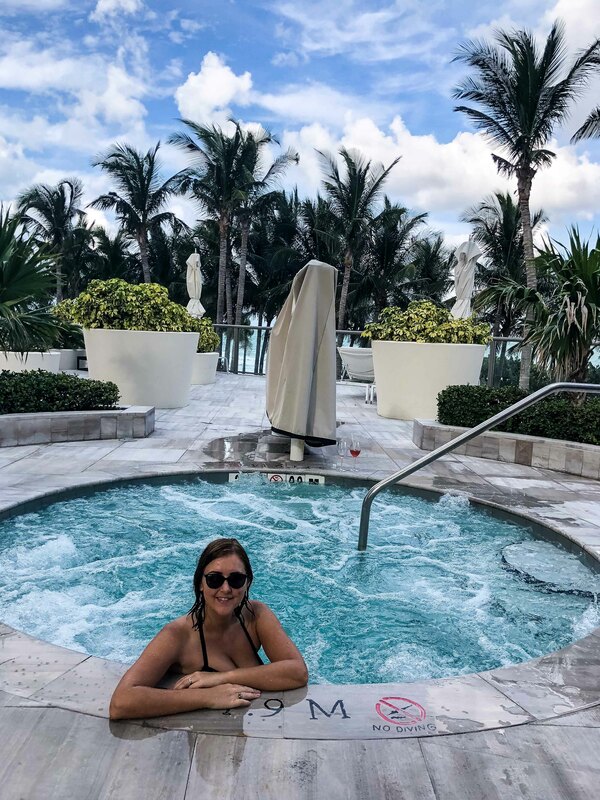 I really hope some of you book in your own daycations so leave a comment below if you do, telling me which hotel you chose and what your favourite part of the daycation was! 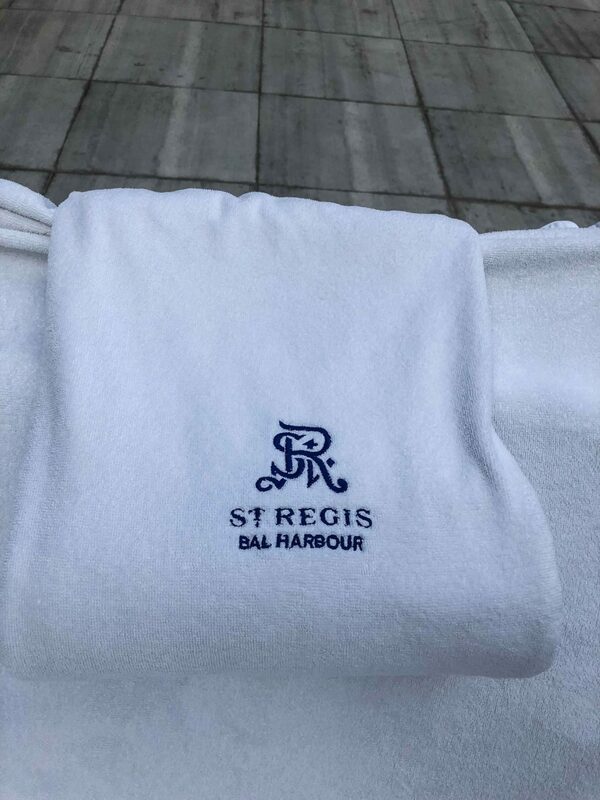 Below are some more photographs from my time at the St Regis hotel during my daycation.